Best Vacuum ever. Beats the Dyson hands down. The Shark IONFlex provides the benefits of DuoClean technology with cordless convenience. Removable, rechargeable ION Power Pack lithium-ion battery provides cleaning power where and when you need it with a variety of charging options. 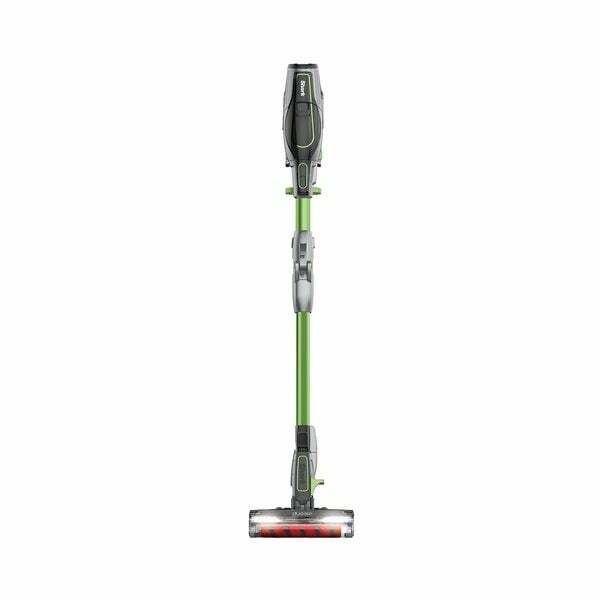 The vacuum features DuoClean Technology, a combination of a bristle brush and soft roller invented to clean fine dust and small and large particles on both carpets and floors. MultiFlex Technology folds over for compact, free-standing storage and provides flexible reach to get under beds, couches, and tables. Smart Response Technology provides a range of performance-enhancing power settings, tailored for your cleaning needs on carpets and floors. I was looking for the Shark IONFLEX DuoClean Cordless Stick Vacuum. ($***) 1 Batteryincluded!!!!!! When I releized The Shark IONFLEX Cordless Vacuum (($***) Comes with 2 Battery’s!! I called but the order had already been processed!! I will keep this one and purchase another Battery! ($***) Make sure to order the one for $***, You Will save $***. Should tell you up front!! Other than the One Battery; I like the Preformance!!!! I will keep this one as I needed a Vacuum Cleaner!!! I love this vacuum! It’s so easy to use that even my kids will help out! It’s lightweight and works on carpet, as well as hard flooring. The only drawback is when the battery runs out, and you have to stop and charge before finishing your floor cleaning. It’s also more top heavy, so you need to find a place to lean it against, in order to prevent it from falling and breaking. The ultimate best vacuum around! The suction capability on both the carpet and hardwoods floors are key. Best of all is that it’s cordless and runs on battery and I find the battery time to be approx 3 hours. Also quick to Recharge! Finally decided to purchase this vacuum and I wish I had done it sooner. Great for my hardwood floors. I have dark hardwood floor and a white and tan dog that sheds like crazy. This vacuum helps keep me sane. Decent battery time on the lower setting and still performs like a champ! So worth your money. Easy and light and cleans great. 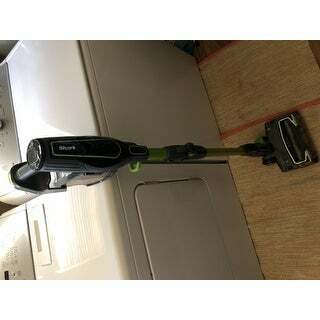 You need to try this vacuum you will love it also. Really love it. Easy to use. "How much does this vacuum weigh?" "Does vacuum come with two batteries?"